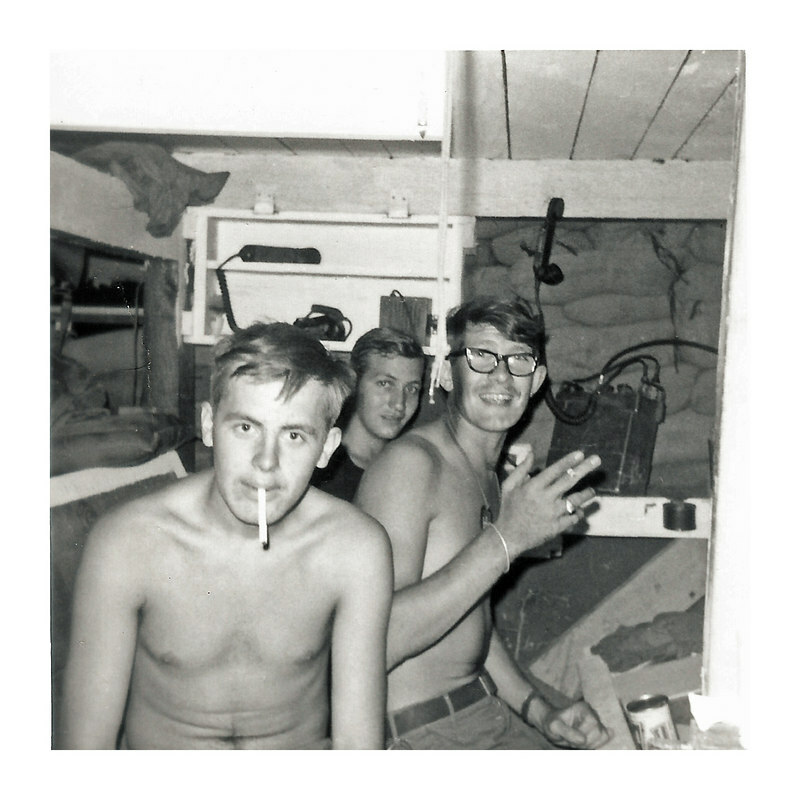 JM89: Gunfighter in 4th Platoon who joined in 1968. Patrick M Walker is in front, with the cigarrette, ? in back center, and Fred Shinbur w/glasses. If you know the person in back please use the 'comment' function for this photograph to tell us. Looks like Howard Tomlin ?